When I was asked to participate in Dancing Stars of Columbus my initial feeling was a mixture of fear and excitement. While attending the event in the past, I always thought it would be a lot of fun to do it. So, when the opportunity came to me, I really couldn't say no. The Columbus community has given me a lot since I came here in 2004, so I am excited to give back by being part of this great event. 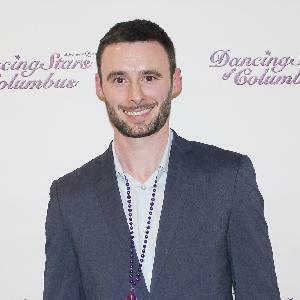 I was born and raised in Ireland and came to Columbus in 2004 to play golf at Columbus State University under past Star Dancer, Mark Immelman. I graduated in 2008 with a degree in Exercise Science and went on to earn my MBA in 2014. I am a trainer at Diverge Fitness where my focus is on golf performance, youth training, and general health and fitness. If I'm not working with clients, it's a sure bet that I'm traveling, playing sports, obstacle course racing or hanging out with my dog Stewie. I am dancing to honor both of my grandmothers who were affected by Alzheimer's in the latter part of their lives and also in support of a relative who is currently dealing with the disease. Alzheimer's truly is a devastating disease that has impacted so many people both directly and indirectly. I am asking for your support as I raise money for this fantastic cause. Please make a donation to help the Alzheimer's Association advance research into prevention, treatments and a cure for Alzheimer's. For millions already affected by the disease, the Association offers care, education, support and resources in communities nationwide. Thank you for joining our movement and I hope to see you on April 5th!